Estate Sales News Is Back Tomorrow – Are You? It is rare as an estate liquidator not to encounter a property that may have a mold, smoke, pet odor or severe dust problem occasionally. Many estate sale companies will not conduct a sale in such an environment, but just as many companies accept these “challenges”. Mold is a very serious issue. Just as a mold addendum is required on the sale of a home, dealing with mold is major problem. If it is a very small amount the estate sale company will have to decide if it can be dealt with by bleach or some other cleaner, however, if it is a large area, remediation may be needed and should be the cost of the seller(s). The health of the estate sale company staff as well as buyers is a prime concern along with the sellers’ health. The smell of smoke and discoloration caused by smokers is another concern. Glass, china, wood, iron, and other non porous surfaces can be cleaned, but eliminating the odor in upholstered furniture can be next to impossible. Cleaning draperies and curtains can be expensive so the cost has to be weighed as to what the items would sell for. In many instances it is better to let them be sold “as is” at a reduced price. Pet odors and stains are also difficult. 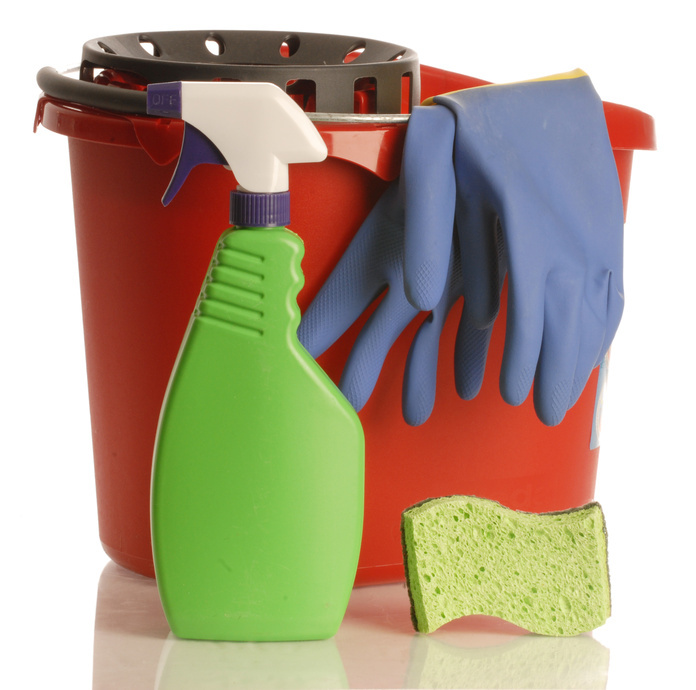 Most require professional cleaning and sometimes cannot be removed or eliminated. One recommendation is do not try to disguise the smell. Honesty with pet odors is important. Many properties that have had elderly owners or people with handicaps have an excessive amount of dust because the owners were unable to keep up with it. These will require a thorough cleaning and the cleaners should wear masks. The professional estate sale company will make judgements on these issues and proceed not only in their best interest, but in the best interest of all parties involved. There are many websites on the internet specifically for advertising estate sales on. As you will read below when you start putting them on Craigs List and yard and garage sale sites, it can create a real problem with some buyers and bring you unwanted publicity. Before placing your ads ask yourself what is that doing to your estate sale and professionalism. 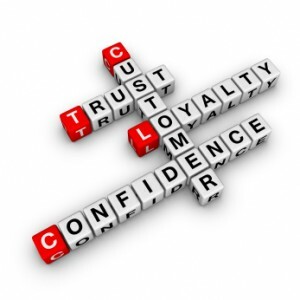 Every company wants to bring in the most buyers possible, but be careful what you ask for. A Google Alert from a site called Bubblews said ” Estate Sale Was A Bust”. The buyer found an estate sale listing on Craigs List. According to the buyer the ad said 50 years of stuff among them crafts and glassware. She went on to say that when she got to the sale at 10AM she didn’t see any of the crafts or glassware and nothing antique, maybe collectible. She continued on that she really liked some of the china, however, the company would not separate the large collection. She also said that some of the dishes were “way too expensive for a garage sale” costing the full retail price and some there were “Walmart” quality pictures they wanted $35 for. If you advertise an estate sale on sites like these remember who your buyers may be. This woman called it an estate sale, then a garage sale and compared it to Walmart. Advertising your estate sales on the right websites is important. Bargain hunters are looking for bargains. An estate sale is not a garage or yard sale. 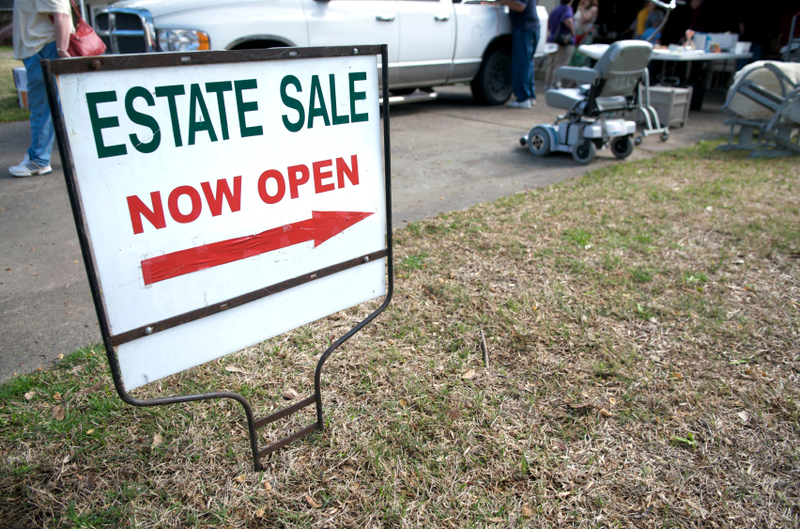 Avoiding repercussions like this can help you and the estate sale industry. Choose your advertising sites and media wisely and keep it professional for your sellers and your estate sale company. Estate sales and auctions have been a method of disposing of the contents of personal property for many years, however, many companies offer both methods. They can also be used to liquidate commercial contents as well. An estate sale is where a seller(s), heir, attorney, or family hires an estate sale company to come in, sort through the personal property, set it up on various tables, shelves etc. and price most if not all the items to be sold. The person or persons requesting the sale will pay the estate sale company a portion of the gross proceeds of the sale (commission usually). The sale is advertised for specific dates and times and when the door opens to the property or location of the sale the items have a specific price on them. The buyers do not pay a commission or fee to the estate sale company. Although the buyer may leave a lower price offer (bid) for items, it is at the company’s and seller’s discretion whether to consider or accept the bid(s). Auctions have been around for hundreds of years, however, it is an entirely different method of selling. 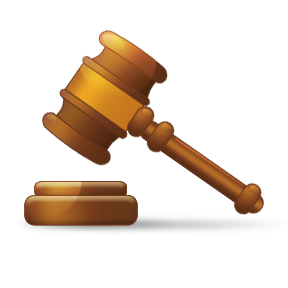 An auction can take place on the property or at an off site location. The best way to describe an auction comes from Wikipedia. “A process of buying or selling goods or services by offering them up for bids, taking bids, and then selling the item to the highest bidder”. Some auctions do contain reserves (a set price, usually by the sellers) which is the minimum acceptable. Auctions usually charge the seller(s) a percentage of the sales and many also charge a buyers premium (a percentage of the cost of the item purchased). Estate auctions have been used for years in rural America to dispose of the contents of an estate and in more recent times used in metropolitan areas, particularly if the estate contains high value items or the sale of the contents cannot take place on site. Some confusion exists these days because most websites that were originally for listing estate sales now list auctions and online auctions, however, they still retain the phrase “estate sale”. 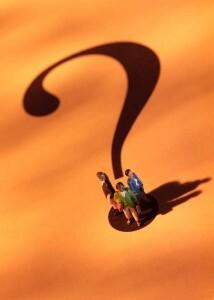 Depending on the area, circumstances, and property to be sold, sellers need to choose which method works best for them. Either method can bring financial success. Understanding the difference though is important. Today is estate sale Friday so it’s once again the start of another weekend of 1000’s of estate sales across the United States. Finding estate sales using the internet is easy. 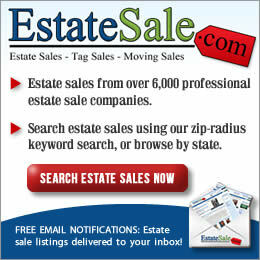 Simply type into the search engine you are using the words estate sales. 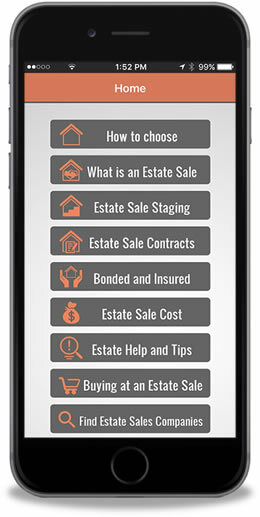 You should find a number of estate sale listing sites including EstateSales.Net, Estatesales.org, Estatesale.com, and Tagsellit.com. These will usually be the ones on the first page of the search engine. There are more listing sites, however, what they are paying to promote their sites and the number of people using them determines their position on sites like Google, Bing, and Yahoo. As with any company on the internet, the more people that visit the website, the higher up it appears on the search engine page, but if the company is paying for pay per click, that will alter who is at the top of the page. This also applies to estate sale companies. When you are looking to find estate sale companies in your area you can look on listing sites, but you can also type in the name of your town and estate sale companies. For example Longwood, Florida estate sale companies, or the name of the state even such as Virginia estate sale companies. So happy shopping and TGIESF (thank goodness it’s estate sale Friday). If you read this article today please like us on Facebook. To all the Dads, grandpas, uncles, and brothers EstateSalesNews.com wishes you a wonderful Fathers’ Day. It seems like everywhere you look today, print media or the internet you will find estate sales and for many that represents a stress for the parties needing to sell and buyers looking for bargains. It is important to remember that an estate liquidation is a process and the estate sale liquidator you choose should help reduce or relieve that stress. However, the job of the estate sale company is to sell the personal contents and possibly (depending on the company and agreement) clean out the premises. It is up to you the seller to choose wisely and then let your professional liquidator do their job. The stress of losing a loved one difficult and a stressful time for family and heirs, but as a seller(s) let the company you have chosen lessen your burdens of liquidating the personal property. 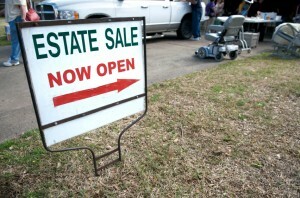 Buyers, an estate sale is not a garage sale or charitable give away. The estate sale company has a fiduciary relationship with the seller to get the best possible price (just like a Realtor) for the items they are selling. Please remember this is not the Dollar Store. This is the selling of personal property second hand. Sellers and buyers do your research, please remember that everyone involved wants a pleasant and pleasing experience and keep your perspective about the process. Somewhere tomorrow estate sales start. Happy shopping. Estate Sales News will be traveling starting next week and our first stop will be Tuesday in Minnesota. In today’s internet world with perspective sellers and buyers having instant access and results to searches for estate sales on the internet taking good photographs which showcase what is included in a sale or event is very important to success. Estate Sales News reviews numerous liquidation sales daily on various listing sites and many of the photographs we see are not beneficial to the estate liquidator or their sale or event. Estate Sale Companies along with having knowledge about what items are and are worth, staging know how, selling techniques, and a host of other capabilities also need to know how to take photographs that draw the public to the sale. An estate sale liquidator must wear many hats and be talented to achieve success. Let’s review a few photographic basics. An estate sale company should have a good way of taking photos (it can be a simple point and click with built in flash), or tablet (iPad for example) it could also be a smart phone. When going on an appointment for an estate sale if you have any type of lighting equipment or even a clip on light or lamp bring that along. Going prepared is a must. Also bring along a light colored cloth (preferably white) and a dark cloth (black or navy). You never know what kind of backdrop or background you will have available (if any that is usable). In a hoarder house it is difficult without staging to take good photographs, however, time should be taken to do a quick sort through (on easy to see things) to find a few of the items that will be available and of interest for sale. Create a background that will enhance the item you are photographing. Posting a few good photos with an explanation that as you sort and stage you’ll continue posting more photos. It is better than showing a cluttered mess that appears like the end of a garage sale. Now that estate sale listing sites provide more space for descriptions you can always list many of the items in the sale with “photos to follow as we sort and set-up”. Many estate liquidators have started doing this, however, sadly many just keep posting unflattering photos of piles of clothes, boxes etc. When you go into a garage, basement, or attic the same approach should be taken. If you really feel that having a photo of large un-staged clutter will attract buyers (a diggers delight some like to call it) then take just one and follow it with a few staged items against a proper backdrop. Be sure to let the buying public know this is before you have started working there. Buyers pay close attention to photos and nothing can turn a buyer off from pursuing a sale and attending it than poor photography technique. When you do take photos look to see if the images are sharp. Fuzzy or out of focus photographs do not enhance your future sale. Watch for glare from the flash or miss placed lighting used. If you’re taking the photo of a mark on porcelain or glass this is particularly important. Sellers it is always a good practice when you are looking to hire an estate liquidator to look at any current sales they may have posted to see what approach they take to photographing them. Good photography is a key component to attracting buyers and in turn helping to generate a financially successful estate sale. 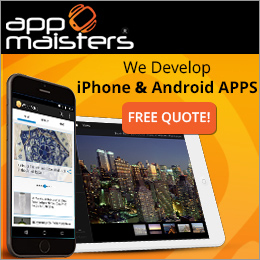 Are you looking for a new outlet to advertise on? Stand out from your competition. Be seen. Have a business restaurant, hotels, airlines, photographers, videographers, suppliers for estate sales, etc. where you have a national audience? No pay per clicks or contracts. Social media used extensively. 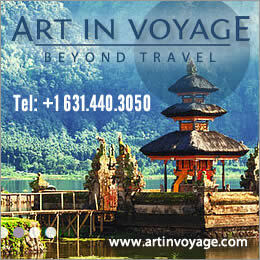 Click thru ad right to your website, phone number and an ad created just for you at affordable rates. 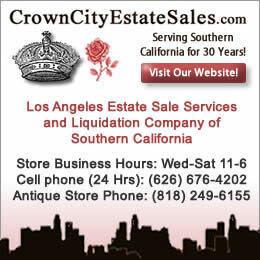 Crown City Estate Sales, Los Angeles CA.